In general, there are three different types of dressing kits commonly available. 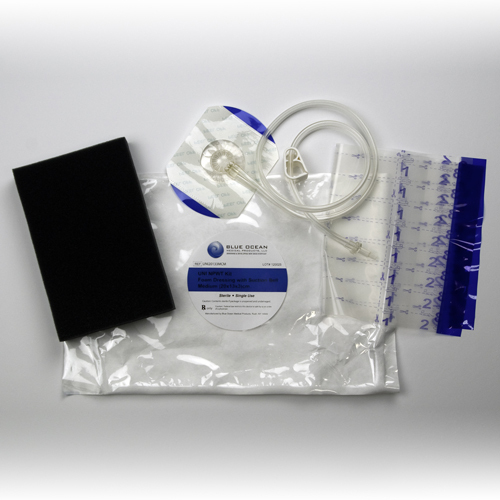 Foam dressing kits, gauze dressing kits, and the “bandaid” style dressing kits. 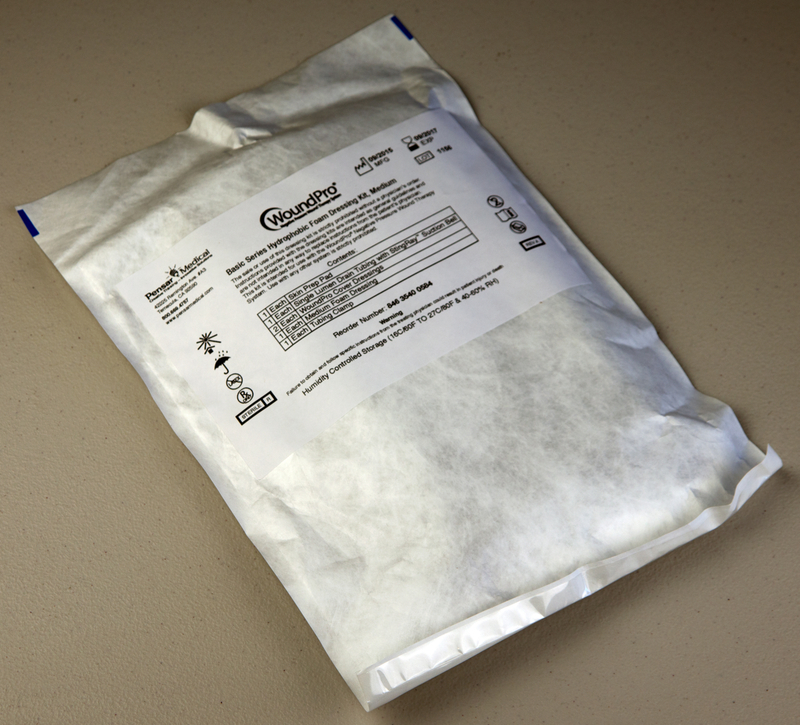 Either the gauze or foam kits work the best when there is substantial wound exudate. The “bandaid” style dressings make negative pressure wound therapy super easy to implement. Dressing changes are little more than like taking off a bandaid and replacing it. These dressings are particularly helpful when a wound care professional is not available for dressing changes, and when patient mobility is essential. While there are proponents of gauze and those equally supportive of foam as the favored product, the truth is that both products have been shown to be effective. Gauze has the advantage of being less expensive, and foam has the advantage of being a little easier to use and has become the most popular of the two types. What makes the foam dressing easier to use than the gauze dressing is that with the gauze dressing, the drain tubing must come out from under the dressing. Sealing around this point of exit can sometimes be troublesome. With the foam dressing, after the transparent film dressing is applied, the film is pierced and the suction dome applied over the film dressing. Both foam and gauze dressings are time-based, meaning they need to be replaced frequently to prevent new tissue from growing into the dressing. Also, all of the dressing material must be within the wound and not extend over healthy tissue. This points to a difference from the “bandaid” type dressings where the dressing does not need to be trimmed to the size of the wound. We are continually adding more products to our website. If you are looking for a product not listed here, please contact us using the following form, or call 800-511-2601 extension 600. If we don’t have what you are looking for, we will point you to someone who does. Click here to purchase dressings online.